The Sacramento Life Center has achieved accreditation by the Accreditation Association for Ambulatory Health Care. 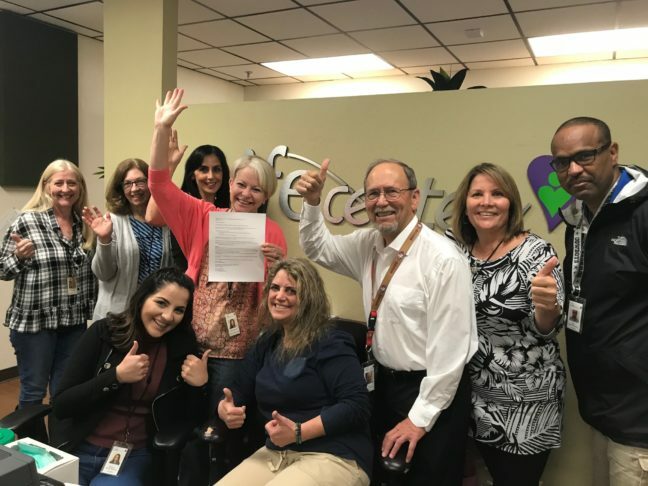 The independent evaluation ensures the Sacramento Life Center has met nationally recognized standards for the provision of high-quality outpatient health care. Sacramento Life Center, which provides free medical care to women and couples facing an unplanned pregnancy, joins more than 6,000 ambulatory – also known as outpatient – health care organizations across the country. The Sacramento Life Center’s mission is to offer compassion, support, resources and free medical care to women and couples facing an unplanned or unsupported pregnancy. The Sacramento Life Center’s licensed Sac Valley Pregnancy Clinic includes a primary clinic and two Mobile Medical Clinics that provide all services for free, including pregnancy tests, STD tests, ultrasounds, peer counseling for men and women, education and resource referrals. The nonprofit also offers a school-based teen education program, a 24-hour hotline and a program for reproductive grief. For more information about the Sacramento Life Center’s Sac Valley Pregnancy Clinic, visit www.svpclinic.com. For more information about the Sacramento Life Center or to make a donation, visit www.saclife.org. The Accreditation Association for Ambulatory Health Care, founded in 1979, is the leader in ambulatory health care accreditation. The association accredits a variety of organizations including ambulatory surgery centers, office-based surgery centers, endoscopy centers, student health centers, military health care clinics, and large medical and dental practices. The association serves as an advocate for the provision of high-quality health care through the development of nationally recognized standards and through its survey and accreditation programs. This accreditation is recognized as a symbol of quality by third-party payers, medical organizations, liability insurance companies, state and federal agencies, and the public. For more information, visit www.aaahc.org.